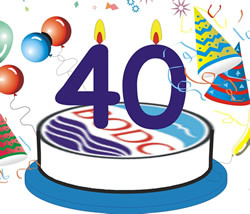 This month marks BODC's 40th birthday. Our history began in April 1969 when the Natural Environment Research Council (NERC) created the British Oceanographic Data Service (BODS), located at the National Institute of Oceanography, Wormley, Surrey. Over last the 40 years we have witnessed many changes; these include our name, location and organisational structure, the evolving nature of data collected by the science of oceanography and the technology we depend on. However, our fundamental role as a national facility for preserving and distributing marine data has remained constant. April 1969 — The British Oceanographic Data Service (BODS) created — primarily to handle hydrographic data. 1975 — BODS transfers to Bidston Observatory, Wirral as part of the newly formed Institute of Oceanographic Sciences. The National Oceanographic DataBank (NODB) is developed, a batch-based COnference on DAta SYstems Languages (CODASYL) system running on a Honeywell computer, located at their offices in Acton, London. Our Parameter Dictionary is born. 1976 — BODS is the focus of a high-level review of offshore industry requirements. As a result, BODS becomes the data banking section of the Marine Information and Advisory Service (MIAS). MIAS-DBS is funded by NERC and the Department of Energy and Industry. Its primary activity is to manage data collected by the UK Offshore Operators Association's (UKOOA) network of weather ships, oil rigs and large-scale data buoys. 1977 — A Honeywell 66/20 mainframe computer is installed at Bidston Observatory. 1979 — MIAS becomes involved in international initiatives designed to standardise data curation. 1980 — The Honeywell computer is upgraded to become a model 66 type 60B, with 512KB of memory, 1.3MB of disk storage and six magnetic tape drives. 1982 — The in-house transfer system is developed; data inventories are accessible via Fortran programs and data are quality assured using paper or microfiche plots. 1985 — We spend £5000, the equivalent of six months' Data Scientist salary at that time, to purchase our first personal computer. 1987 — The arrival of the IBM 4381 computer (costing £400,000 — with 7.5GB of disk storage) and the Oracle Relational Database Management System (RDBMS). We begin to develop in-house visualisation software on two Silicon Graphics workstations (costing £40,000 apiece) to aid quality assurance. Data are still archived onto magnetic tapes. April 1989 — the MIAS-DBS is restructured and renamed BODC. 1989 — An 'end to end' approach, working alongside marine scientists during the lifetime of projects to ensure good data management practices, is developed during the first NERC Community Research Project, the North Sea Project. The NODB samples schema is designed to store discrete samples, such as biological and chemical data from water bottle rosette systems. Our involvement in international project data management begins. An extra 5GB of disk storage is purchased for the IBM 4281 computer. 1990 — Work begins at BODC to develop and maintain the General Bathymetric Chart of the Oceans (GEBCO) Digital Atlas on behalf of the GEBCO community. Our Parameter Dictionary has expanded to contain around 5,000 parameters. 1992 — BODC adopt a UNIX system and data are archived in a Mass Store, a hierarchical storage system. BODC make data available to the marine community via its first CDROM product. 1993 — We undertake quality assurance responsibilities for UK Tide Gauge Network (DATARING) data. 1995 — Our first web presence. 1996 — During the year BODC service 1,035 customer requests for data and information. 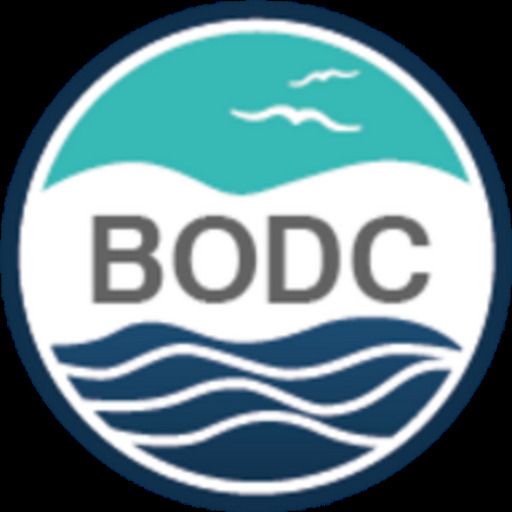 2000 — The BODC web site is launched, providing online data catalogues and inventories of our data holdings. The additional functionality helps increase the number of annual requests to 4,644. 2002 — BODC develops formal partnerships with NERC’s marine research centres to encourage good data management practices. 2003 — Our Parameter Dictionary expands rapidly to almost 19,000 parameters. 2004 — We move to our current location, the Joseph Proudman Building, located on the University of Liverpool campus. 2005 — Our current web site is launched, providing expanded functionality. 2006 — The BODC Parameter Dictionary becomes available online through the NERC DataGrid Vocabulary server. Our online data request facilities are updated to include GIS map search facilities. 2007 — We complete an extensive modernisation of our visualisation and data handling software, enabling improved efficiency and portability, thereby enabling use by external users. 2008 — As part our role serving the national and international marine community we host and maintain twelve data portals and web sites. 2009 — Continual improvements to our web applications and functionality means that we now service ~100,000 requests for data and information per year. The next step is to provide an online 'shopping' facility allowing users to select data for auto-delivery from our entire data holdings. We are looking forward to meeting the challenging needs of marine data management in the future as data are precious; they are fundamental to the understanding of the processes that control our natural environment. The data we hold helps provide answers to local questions or planet-wide issues, such as the prediction of the impact of global warming - something that not only affects us, but will also affect the quality of life of our children and grandchildren. The better we can predict these events, the better we can protect ourselves in the future.